The Dogs training pads eliminates odors TK-Pet will help you teach your pet to urinate in the place of the house you choose. This accessory has a high absorption capacity and prevents odors, since its composition, cellulose and polyethylene plastic, prevents microorganisms grow in it. 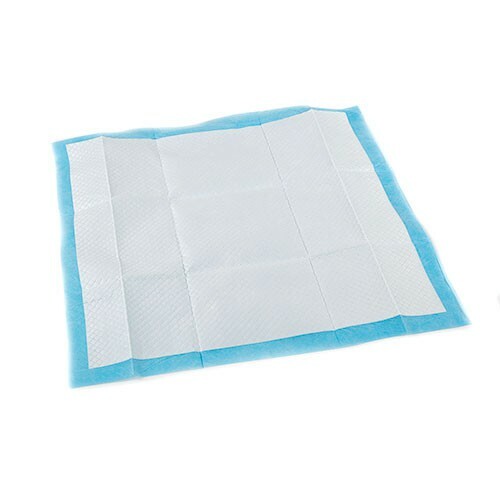 This training pads to place in the litter tray for dogs TK-Pet has sealed edges and has a protective coating at the base prevents spills of urine. You can also use them to place them on the carrier of your pet or car, anywhere you want to protect from leaks, with the tranquility that the environment be free of unpleasant odors. Training pads TK-Pet are 100% and having a layered structure based polymers that retain moisture. Besides they dry quickly. This accessory is designed for dogs of all ages and breeds of dog, has a measure of 56 x 56 cm and comes in packs of 50 units. Especially suitable for training nursing puppies or animals that have mobility problems. The training pads eliminates odor is part of the range of products TK-Pet presented along with training pads scented lemon and training tray. As always, high quality products, manufactured with the finest materials and designed for the welfare of pets and owners. Training pads for adult dogs and puppies that prevent odors. 100% absorbent, liquid-tight and waterproof. Resistant and durable and fast drying. Useful and practical for training puppies accessory. 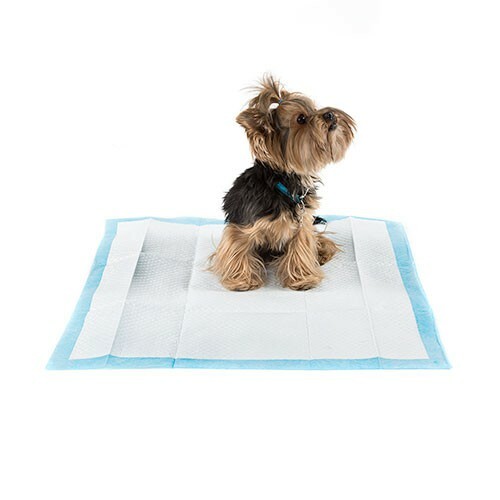 Training pads for puppies and adult animals that prevents odors and are highly absorbent. Suitable for training puppies and convalescent animals of any breed and size. Place the training pads on the platform TK-Pet training. Position Platform in a quiet place. Reward the dog whenever you use it training pads to your needs. Change the training pads by one clean when dirty. disposable product, you can throw away. It is advisable to dip a little urine training pads for the dog sniff and easier to use. Do not throw the toilet. Enjoy a pleasant and clean environment while teaching your dog with Dogs training pads eliminates odors TK-Pet.